Welcome to the Pilgrims in Sydney, a support group for the Camino de Santiago. Santiago de Compostela in Galicia, Spain has been a pilgrimage destination since the discovery of the tomb of St James (the Apostle James the Greater) in the 9th century. The number of pilgrims has waxed and waned over the centuries with a resurgence in recent times. The Camino Francés is the most well-known of the pilgrim routes to Santiago but it is by no means the only one (see Map). Traditionally, the starting point was dependent on where the pilgrim lived. In these days of fast transport, we can add choice to the mix and many choose to make several pilgrimages either on the same or on different routes. Pilgrimage can be a life-changing experience and many wish to find a way to give thanks for the many positives they gained from the Camino. Some of our members have returned to the Camino as hospiteralos (wardens who care for pilgrims in a refuge) and a few of their stories can be read on the Hospitalero section of the Volunteering page. The Australian Hospitaleros website has information about the hospitalero training program. 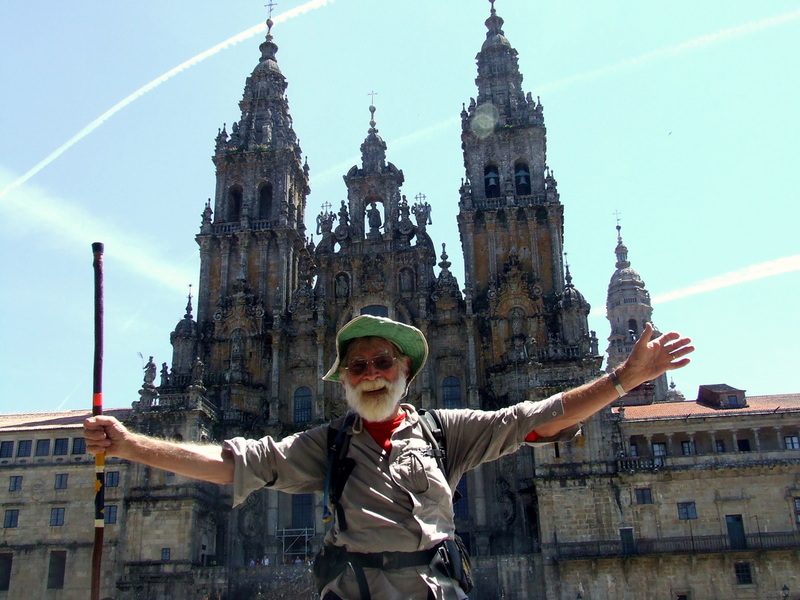 the Camino spirit as a returned pilgrim or as one in the preparatory stages. More information about our group can be found on the About Us page and you can write to us via the Contact Us form. Our monthly Meetings are attended by a number of regulars who can give advice and information about many of the pilgrim routes to Santiago. To add to this first-hand knowledge, our Links page lists some of our favourite information sources including a sample Pack List. Members' blogs as well as local Camino related exhibitions, presentations or events are listed on the Notices & Blogs section of the Links page. As the Location of our gatherings may change, please check before each meeting.